Defeating malware has two components: 1. Detecting malware. 2. Removing the detected malware and its files. The common assumption is that antivirus and anti-malware products would do both equally well. This isn’t true according to the latest results from AV-TEST, an independent testing laboratory. 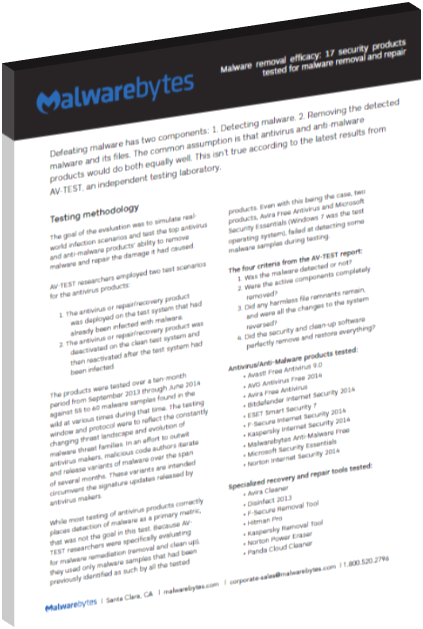 The goal of the evaluation was to simulate realworld infection scenarios and test the top antivirus and anti-malware products’ ability to remove malware and repair the damage it had caused.